CHICAGO HEIGHTS–(ENEWSPF)–September 30, 2016. Charles L. Evans, the ninth president and chief executive officer of the Federal Reserve Bank of Chicago, will be the featured speaker at Prairie State College’s Annual Economic Forecast Breakfast, scheduled on Feb. 3, 2017. The event will be held at Olympia Fields Country Club, located at 2800 Country Club Dr. in Olympia Fields. The morning begins with a 7:30 a.m. breakfast buffet, followed by the speaker presentation at 8:15 a.m. A 9 a.m. question and answer session follows. As CEO of the Federal Reserve Bank of Chicago, Evans serves on the Federal Open Market Committee (FOMC), the Federal Reserve System’s monetary policymaking body. He oversees the work of approximately 1,400 employees in Chicago and Detroit who conduct economic research, supervise financial institutions and provide payment services to commercial banks and the U.S. government. 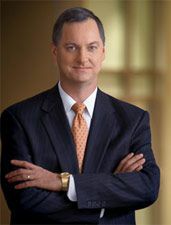 Before becoming president of the bank in 2007, Evans served as director of research and senior vice president, supervising the bank’s research on monetary policy, banking, financial markets and regional economic conditions. Before that, he was a vice president and senior economist with responsibility for the macroeconomics research group. The cost to attend the breakfast is $25 per person, and advance registration is required by email at [email protected]. Sponsorships also are available. A $300 Table Sponsorship will reserve a table for 10, and includes breakfast and recognition listings in the program and event signage. A $75 Friend Sponsorship will reserve two seats, and includes breakfast and recognition listings in the program and event signage. In addition to providing a prominent expert’s analysis of the economy to the south suburban business community, the breakfast also raises scholarship money for PSC students. For more information, contact the PSC Foundation office at (708) 709-3631.